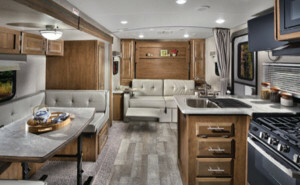 Travel trailers offer the ability to be on the go anywhere, and have tons of brands for a variety of use case scenarios. One of those scenarios are people who want to live in an RV full time. Fulfilling your dream of discovering various parts of the world has without losing your comfort of a soft bed, a living area and some extras has never been easier. 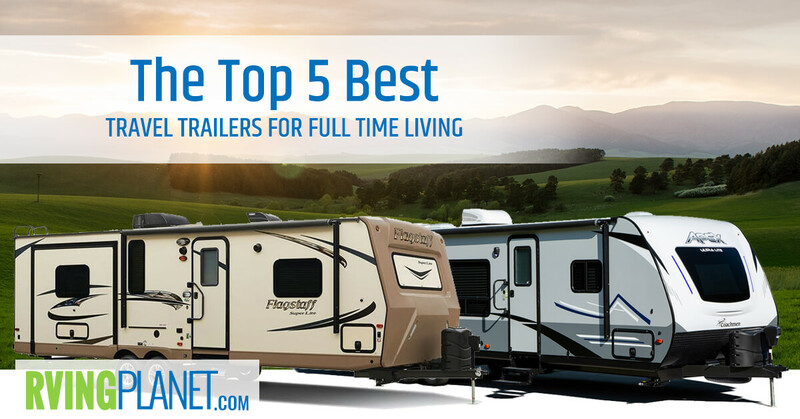 Check out our top 5 best travel trailers for full time living to learn more! What puts an RV on the list: Living in an RV full-time would mean there are a lot of things to be aware of. 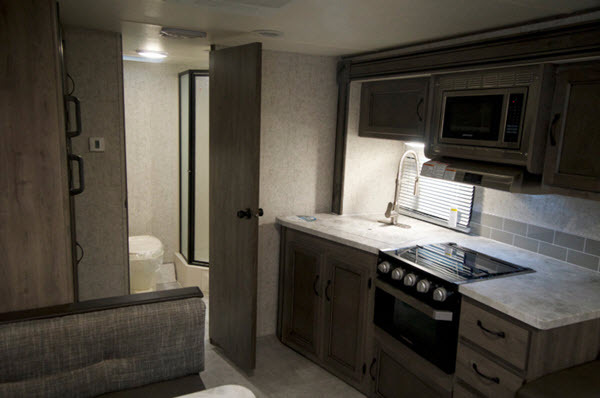 Firstly, since you’ll probably be on the move a lot, we’ve made sure to include travel trailers with floorplans under 27 feet to make them parkable in any campground. 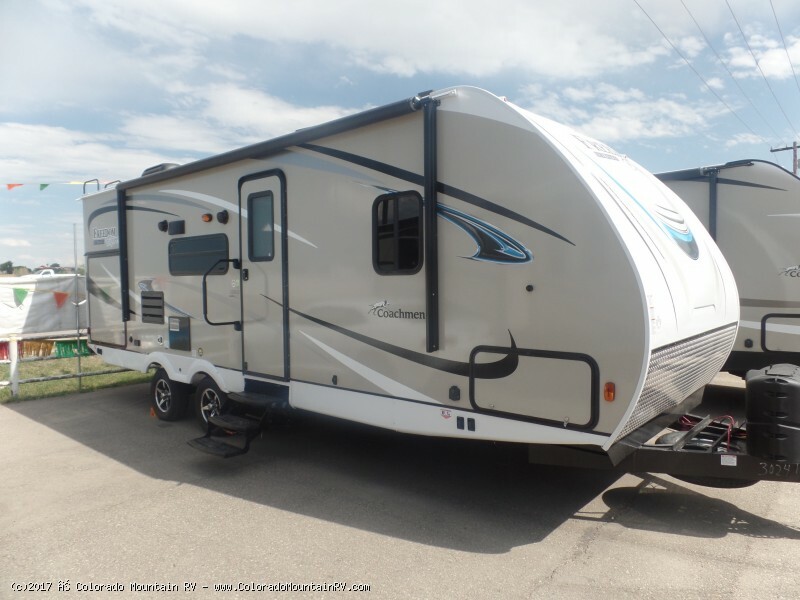 We’ve taken a look at the reviews, and also selected ones with at least 2 slideouts to make sure you also get that extra space which is quite crucial when selecting any travel trailer. Sets a New Standard For Light Trailers! 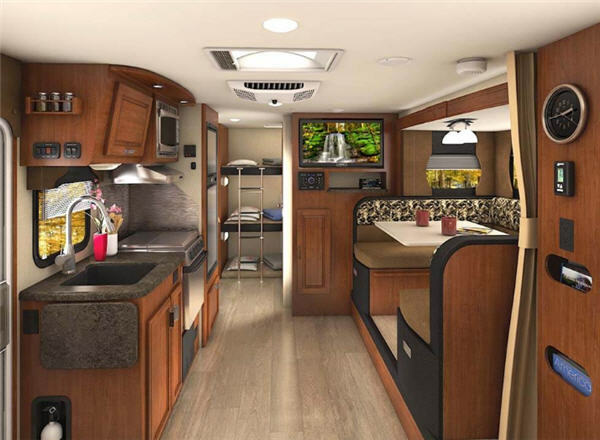 View All Coachmen Apex Ultra-Lite Travel Trailer Floorplans! 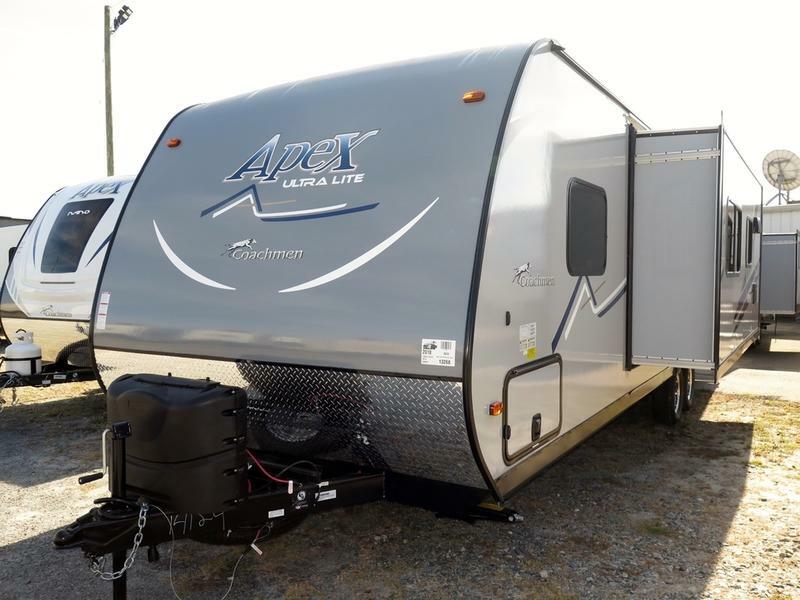 Why we recommend the Coachmen Apex Ultra-Lite travel trailer: As the name suggests, the Coachmen Apex Ultra Lite keeps it light, with the Apex Ultra Lite 212RB floorplans and Apex Ultra Lite 215RBK being just over 4,000 lbs dry weight. If you’re aiming on staying at one park. If you’re fine with one slideout, the choices are even better and overall, this travel trailer has plenty of other floorplans with varying specs, making it one of the most versatile campers in the market. Check out the specs that they offer and you’ll also find that they definitely belong in our list of travel trailers for full time living. From the basics such as outside speakers, solar prep and an LED TV to exterior cable connection and convenience centre, you have it all. A few of these items can also be upgraded, plus there are several standalone upgrades as well! View All Forest River Flagstaff Super Lite Floorplans! 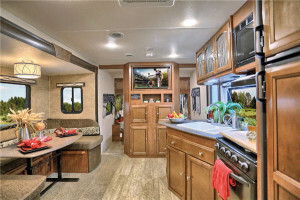 Why we recommend Forest River Flagstaff Super Lite travel trailer: With a U-shaped dinette, a murphy bed and amenities one would look for in travel trailers for full time living, the forest river Flagstaff Super-Lite 23FBDS is our favorite pick also because the aforementioned floorplan can managed to keep it spacious with 2 slideouts, parkable since its 25 feet long and can also hold roughly 2000 pounds of cargo! That’s only the start, though. Take a physical tour of the camper and you’ll also see the amount of thought behind making this a travel trailer for both full time Living and a super memorable weekend trip. Wi-Fi booster to keep you connected when away, outside grill and speakers, recessed 3 burner cooktop, you get the gist. And if that wasn’t enough, they’ve also managed to provide over 15 different upgrades/additions for those who want more out of their Flagstaff Super-Lite! 16 different floor plans available! Durable Camping For The Entire Family! 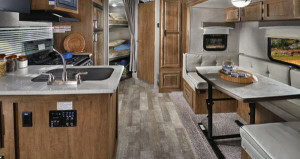 View All Coachmen Freedom Express Travel Trailer Floorplans! 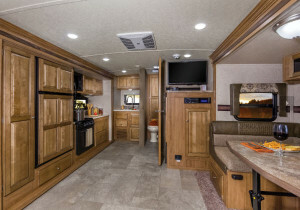 Why we recommend the Coachmen Freedom Express travel trailer: Coachmen Freedom Express 233RBS has offered what one can consider as a ‘Family of 4’ floorplan. It’s got a sleeping capacity of 4, can handle upto 2200 lbs of cargo, and has 2 slideouts to offer more room! Of course, that’s just one of its many other floorplans that have varying specs as well! Just a quick look at the features of this travel trailer and you’ll realize it’s an overwhelming list. In a gist, the Freedom Express has both the basics and the extras covered, whether its a jackknife sofa or the optional 50 AMP service with second A/C prep. 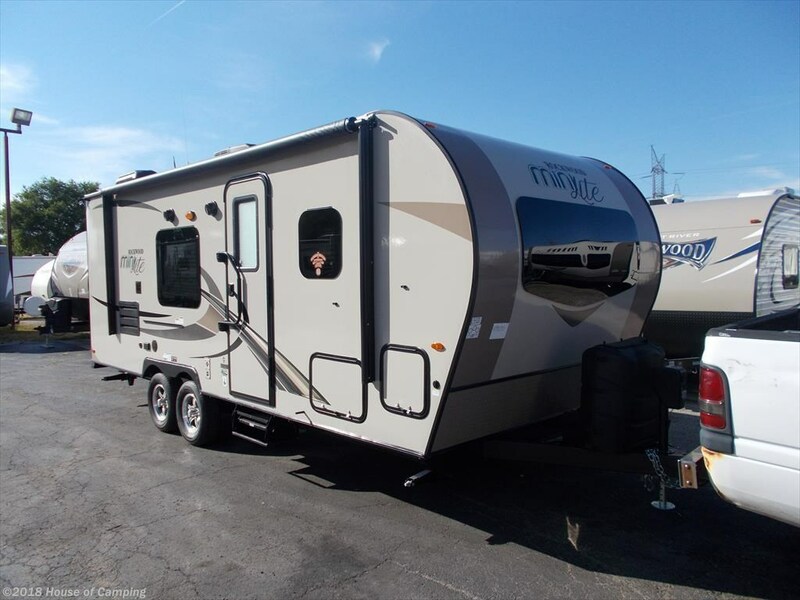 That, and its relatively affordable price tag definitely makes it our choice for those in the market for travel trailers for full time living. America’s Trusted Truck Camper – In Travel Trailer Form! 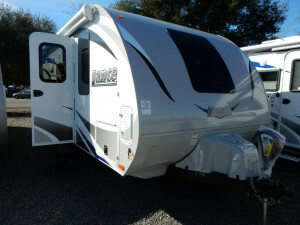 View All Lance Lance Travel Trailer Floorplans! 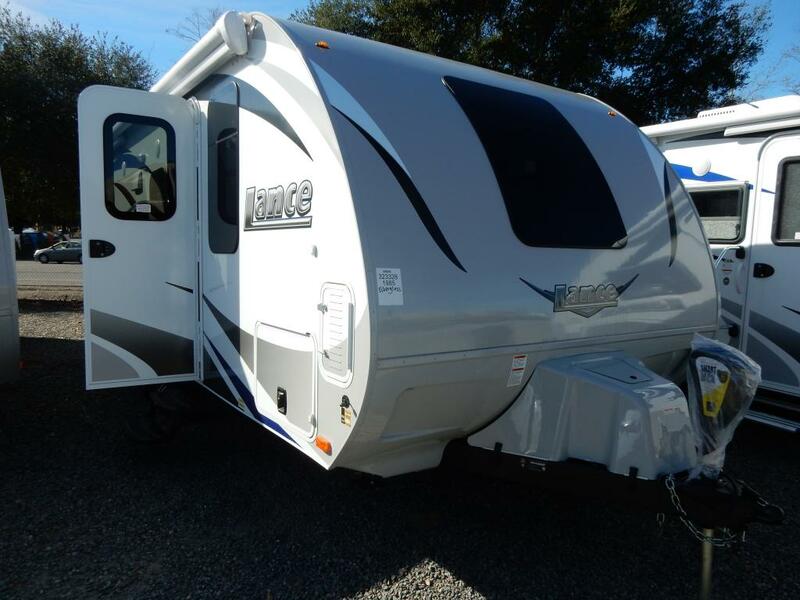 Why we recommend the Lance Lance travel trailer: We’ve covered the Lance Lance in the past, which is the sole Brand of the manufacturer. 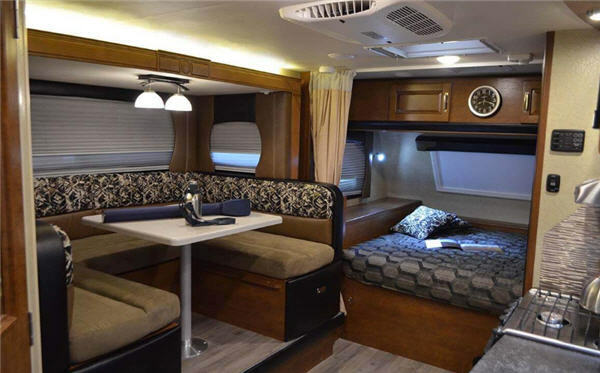 However, it’s definitely an impressive one, as it has quite a few floorplans, our obvious choice being the Lance 1475 as its super compact at 1900 feet, can hold 2 people and has 2 slideouts. Of course, if you’re willing to look for floorplans beyond 27 feet, there are lots of other options available too! In terms of features, the Lance has a lot of bells and whistles to boast about. 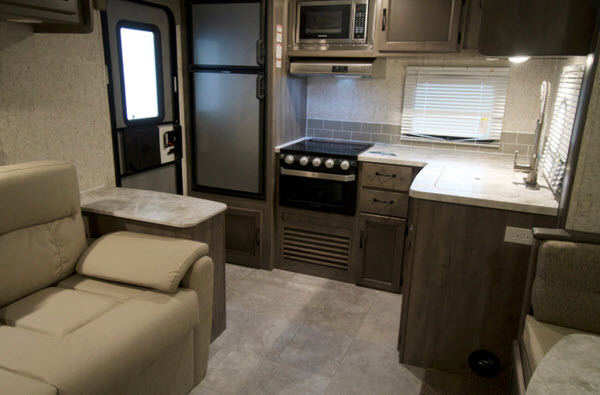 Everything you could ever need from a full-time travel trailer is already here: furnace, air conditioner, a dinette, double door refrigerator among options to expand it such as an upgraded 13.5/15K BTU air conditioner, electric awning, spare time and many, many more! 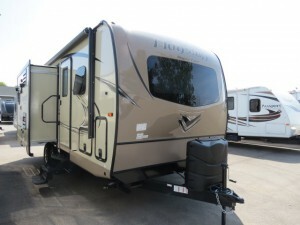 Check out the RV page on the top for their full list of available upgrades. View All Forest River Rockwood Mini Lite Travel Trailer Floorplans! Why we recommend Forest River Rockwood Mini Lite travel trailer: Some of the lighter variants from the Lineup of Forest River Rockwood Series are the Mini Lite brand which feature floorplans even under 5,000 pounds GVWR and two of them also fulfill our physical criteria of a full time travel trailer: the Rockwood Mini Lite 2511S and the Rockwood Mini Lite 2512S. 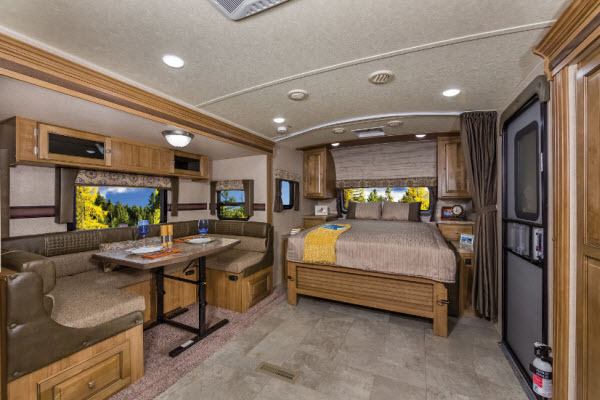 Whether you’re camping down South where it’s sunny or someplace like Minnesota where insulation’s a boon, Rockwood Mini Lite provides comfort either way, having a ducted furnace and a 13,500 BTU A/C. 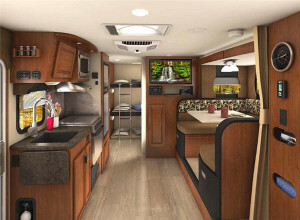 For those who’ll venture away from campground, the added Wi-Fi boosters proprietary for most Forest River models is present. 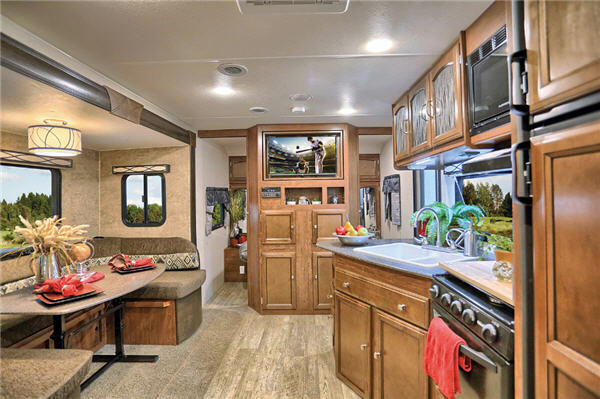 Combine that with the available options that change both the look (American maple interior) or add convenience (Tongue mount bike rack), and it’s clear that this unit is definitely designed with full-time living in mind! Living full time in a travel trailer is calls for important decisions to make when purhcasing your unit. 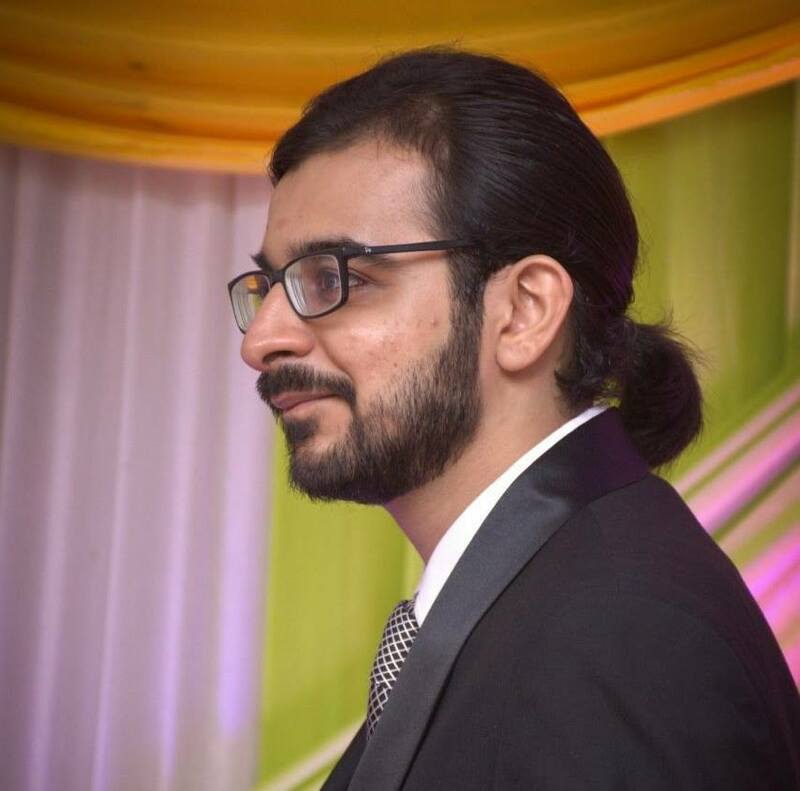 Hopefully, our top 5, at the very least, will give you an idea on what to look for! 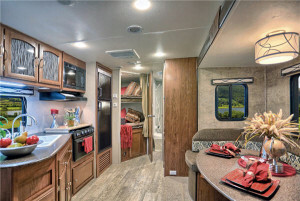 Share with us your favorite travel trailers for full time living in the comments below!